Multi-potent mesenchymal stem/progenitor cells are present in almost all organs and tissues, although their identity remains elusive. Several isolation strategies have been pursued to identify these cells prospectively, leading to the isolation of various cell populations endowed with multi-lineage mesodermal potential. Historically, mesenchymal stem cells (MSCs) were the first cell population to be isolated from the stromal fraction of most connective tissues. These cells are able to differentiate towards various mesodermal lineages and are currently the most studied adult mesodermal progenitors. 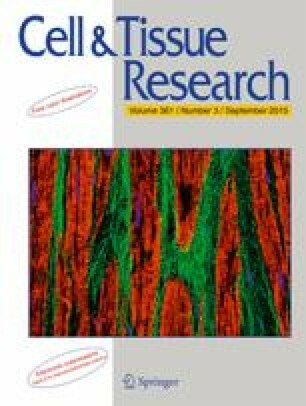 Recently, the isolation of a subpopulation of microvascular pericytes (PCs) endowed with multi-lineage mesodermal potential has led to the identification of mesenchymal progenitors that reside in a defined anatomical location, namely the wall of small blood vessels. To gain insight into these two related cell populations, we performed a detailed analysis of the mesodermal potential of isogenic human MSCs and PCs isolated from white adipose tissue. Although both cell populations expressed known mesodermal markers at similar levels and displayed a comparable growth rate, PCs differentiated towards osteocytes, adipocytes and myocytes more efficiently than their MSC counterparts, as revealed by both histological and molecular assays. Our results show that microvascular PCs are more prone to mesenchymal differentiation than MSCs and therefore represent a preferable source of human adult mesenchymal progenitors when adipose tissue is used as a cell source.